These days, Mitrovica is a byword for division. But there was a recent time when jazz brought people from both sides of the river together — for music is a universal language. This is a story about the people in Mitrovica who consider music a universal language. This is also a story about Mitrovica itself, known as a divided city in Kosovo, yet there is really much more to it, much more beauty. “We do not travel around the world to listen to jazz, but we bring the world here and people have fun.” This is how we can start the story about rock’n’roll, jazz and blues as a way of life for people in Mitrovica who see music as a universal language. This “world” started coming to Mitrovica before the Second World War. Ladies in gowns, men in suits, amusement with urban music, dance – very uncharacteristic of a small mining town. The city became a place where many cultures and influences mixed, all of which slowly created the way of life. The main “culprit” was Trepca, today well known as a mining-metallurgy-chemical combine, known as Mines Limited during the period between the World Wars. Due to the lack of staff, the mines employed engineers from abroad. “You could always see some German, a Pole, a Czech, a Slovenian, an Englishman…” according to the stories of Mitrovica from the ‘20s and ‘30s. Thanks to the circumstances, the city became a place where many cultures and influences mixed, all of which slowly created the way of life. “There were youngsters who continued to study, and the ones who went abroad brought back information from world events. They traveled by foot, with a one backpack, they brought us information in an original way,” Mitrovica resident Isat ‘Isko’ Muric describes the city before the war. The information eventually brought along new tunes, which mixed with already-present Balkan rhythms. Mitrovica produced Kosovo’s first brass orchestra, known as “the fireman’s orchestra” the balls organized at Hotels Adriatik and Palace are still talked about. After the Second World War, Mitrovica was introduced to other cultures and influences, but various traditional rhythms were still being cultivated. The city’s music started to be seen differently. 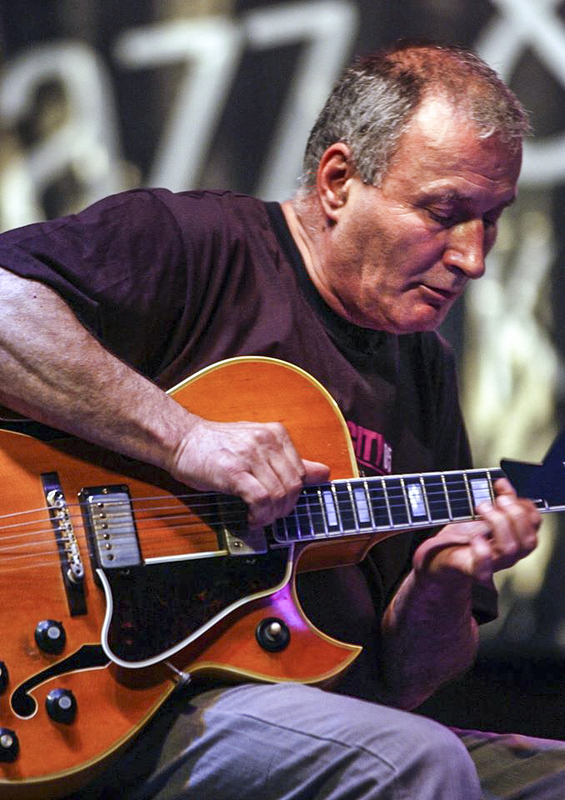 “I do not have a tradition of jazz, my father was a logger and listened to [Vlastimir Pavlovic] Carevac, [a composer and violinist, considered the godfather of Serbian national music tradition] and the likes, I don’t have any connection to jazz – none at all,” he continues. Jazz is “suffering, sadness, New Orleans, the slaves. We from the Balkans are lively, we have a temperament, we are musical. And that is how we started accepting different rhythms,” Muric added. “After World War II, in socialist times, it was not easy to play foreign music, as it was considered imperialist. “But there was a tradition regardless, there were people who played wind instruments, trumpeters, saxophonists, clarinetists… something was played. What kind of music? Jazz. If singing was necessary, it was in the style of ‘I love you, you love me,’ in order to avoid any ideology,” says Gazmend ‘Gazi’ Mustafa, who belonged to the group of people who cultivated rock and jazz in Mitrovica. The first reason for the diversity in the musical scene of Mitrovica is Trepca. 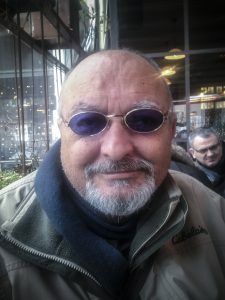 The second is Petar ‘Pera’ Rakic, a Mitrovica local who spawned many generation of musicians in Kosovo and still works although he is retired. 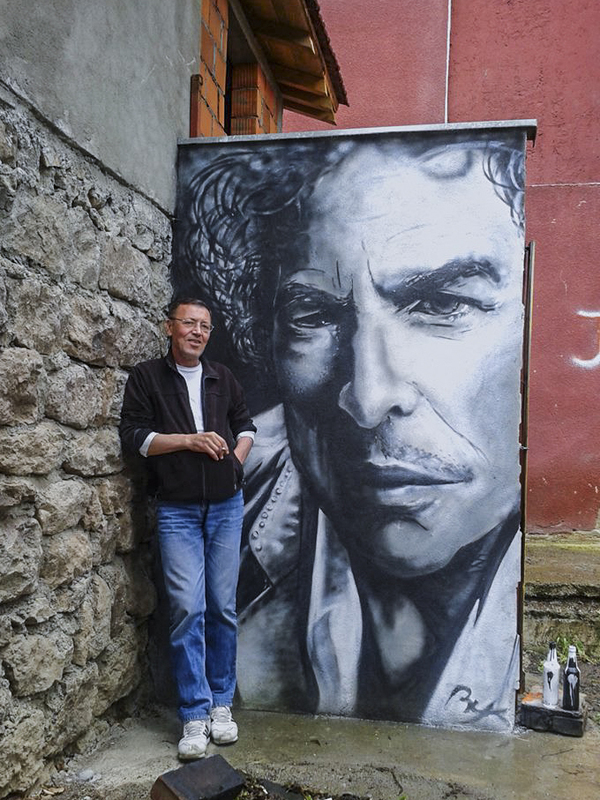 He says that during the ‘60s and ‘70s, Mitrovica already had a developed music scene. “There were many basements, places where music was played, there already was something going on,” Rakic says, modestly receiving the compliments of his friends and colleagues. 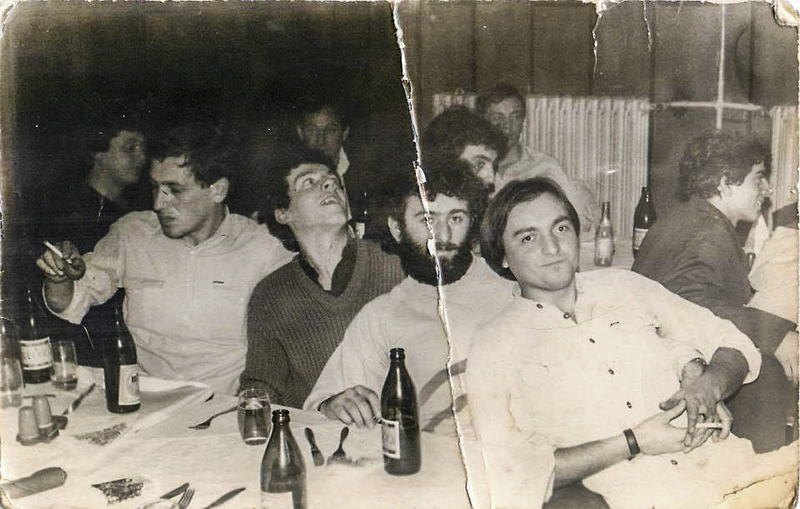 The Crystals of Trepca, later known as the Crystals, Mak, Dalton, Korak, The Black Dame (Crna Dama), the Fiery Stars are only some of the Mitrovica bands that formed during the 70’s and 80’s. The well known rehearsal spaces for musicians of that time were the Lushta Quay hall and the dance hall in Zvecan. “By the time I understood the existence of women there were already some bands in Mitrovica. I went to the dance hall or the medical school… that’s where they played, and I watched the girls. I watched but the music slipped inside my ears,” Gazi says about his first encounters with music. Today, the Lushta Quay, where one of the city’s most important cultural centers was located, is leveled. “There were many memories there,” Isko, Gazi and Pera said over and over again in a melancholic tone. The interviews were conducted separately, but the stories only differ by the way they are presented: the memories and feelings are the same. This is how the first festivals were organized. The first festival was called “In memory of Buli.” Rexhep Xhemajli, whose nickname was Buli was a drummer who died in a car accident in 1977. After that, the team of musicians organized the first rock concert that featured bands from Mitrovica and other neighboring municipalities. All profits were donated to Buli’s family. After a few years of humanitarian concerts, the event started to become somewhat of a festival and turned into Rock Fest, which gathered musicians from the region and beyond for over 20 years. The ever-increasing influence of rock culture gradually pushed away the music that had been “rooted” in Mitrovica many decades earlier, and brass musicians started to fade into oblivion. At that point, Pera Rakic came up with the idea of organizing jam session concerts. “He wanted to create a lineup with the musicians he had heard. We organized a concert once a year at the Lushta Quay,” Gazi says. “I remember that Pera had a cassette deck and cassettes that were older than him. I recorded [the concerts] in order to document them,” he added. Enthusiasm was the main driver when it came to the musical scene of Mitrovica. “When the concert was humanitarian, the money was used specifically for that, in other cases the profit was usually used to pay for the amplifiers. Or, for example, when the Black Dame (Crna Dama) band went to the Guitar Contest in Zajecar, (in present-day Serbia) we financed it. In no way could it be seen as a business,” Pera Rakic says. Thanks to Radio Prishtina, where Pera worked, the bands and musicians had access to musical instruments and promotional space. “It was not easy to find instruments at that time, we couldn’t buy a guitar that cost 100-150 German marks. We borrowed them from one another without any compensation whatsoever,” Rakic said. Will overshadowed the lack of basic means, so they often found other ways to try to reach their goals. Sometimes, though, their attempts were not successful. “A person came to the jam session and told Pera: ‘I learned how to play the double bass.’ And, it wasn’t hard for Pera, he goes to Prishtina, takes the double bass at Radio Prishtina… can you imagine the size of that thing… back then he had a Renault 4, he fixed it on the roof… I don’t really know how he brought it here. He came here, returned to Mitrovica and told him: ‘Here you go, play.’ But he didn’t know how to play, he told him afterwards. And Pera says: ‘Good, but why did you not tell me earlier… I brought the instrument on the roof of my car, I tortured myself!” Mustafa remembers with laughter. After a few years of organizing jam sessions, a novel idea, unique to Kosovo, came about. “Following the first rehearsal, I said: guys, let’s assemble a large orchestra. Do you want to join the rehearsal? The idea was to create an orchestra with four trumpets, four trombones, and four saxophones within five years… the others were never a problem, the guitar, the bass guitar – what we lacked was wind instruments,” Petar Rakic said. And thus, a small mining city created a Big Band, which even Prishtina lacked. The members set big goals: start playing American arrangements within five years and organize a jazz festival within 10 years. “And that’s how we started. We were all amateurs – I as a conductor and they as musicians. But, we did as much as we could with what we had,” Pera recalls. “He started off with door repairmen, woodworkers, committee secretaries, director… a lively orchestra, Big Band that played jazz and blues… I played the saxophone. It was a strange story, Prishtina did not have such an orchestra, neither did Skopje. 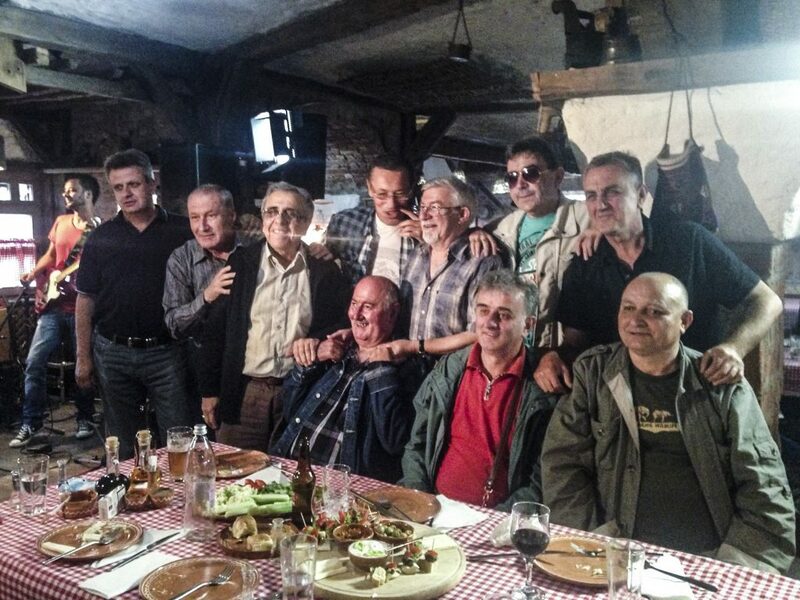 Prishtina was a village to Mitrovica,” Isko Muric says about Pera, accepting that they were conceited about it. Unlike today, the ethnicity or nationality of the musicians was not important back then. Serbs played, Albanians played, so did Bosnians and Turks. The only thing that was important was whether you wanted to play and had the skill to do it. “The relationship was such that you would not believe me if I told you. Now I live in Prishtina. Sometimes I tell the kids in the neighborhood and they refuse to say anything out of courtesy. But I can see that they think: ‘Come on, don’t lie to us,’” says Gazi joyfully, talking about the relations within the Big Band. Christmas and Eid were celebrated equally, everyone stuck together in times of joy and tears – all of the 20 members. But, the most important events were the anniversaries of the Big Band. Everyone would bring something from home: drinks, food, the music was there… and the party would go on until dawn. “The brothers who lived close by would bring the baking pan full of mantia [spiced meat dumplings]. They were homemade mantia, I never got to feel that taste again,” Gazi remembers. People who had nothing in common professionally gathered together. After practicing, socializing and partying together, everyone went their separate ways. Sometimes they did not even know what other people did apart from playing in the band. Music brought them together and it was a universal language, but it also created bonds between people of different educational profiles. They were not concerned with politics but politics was concerned with them: the Big Band does not exist anymore. After reaching their first goal and creating the Big Band, they organized the first jazz festival within years. One of the signature successes of the band was that they received invitations to participate in the festivals of beginner big bands in France. But they did not go. As it usually happens in life, the stronger the love, the more painful the separation. It appears that that is how it was with the Big Band in Mitrovica. Political events took their toll, destroyed a country and the Big Band from the small mining town was not spared. And this is how the Big Band dissolved, without any formal separation. The rehearsals just stopped. Nobody asked them anything. The fact that they spent many nights together with drinks and music, that they were more fond of sleeping at each others’ homes than at their relatives, the fact that they were not only friends, but also godfathers and best men was not important anymore. Isko has two men he considers his best men – Zvezdan and Gazmend. Through jokes, they argue which one was the first and the most important. But the time had come and everyone joined their flock and chose a side, intentionally or otherwise, regardless of whether they liked it or not. Some went to the north, some to the south, and now “cheer” for the team that they belong to. There was no space for music anymore, everyone dealt with their own and their families’ existential crises. After this, the sounds of rock’n’roll, jazz and blues in Mitrovica were replaced by explosions; instead of the guitar, the saxophone, trombone – there was gunfire. The small mining town which was the pride of everyone who lived there turned into a symbol of separation. Pera remembers that Gazi, when they spoke after everything that happened, asked him whether he could come for the celebration of Saint Nicholas. “For years my wife said: make sure there is white wine, maybe Gazi will come,” Pera remembers, smiling. “North City” in the north, “Big Band” in the south. A few years after the war of 1999, the group of musicians that lived in the northern part of Mitrovica started organizing the Jazz & Blues Festival. Considering that it was hosted in the northern part of the city and due to the similarities with the famous North Sea festival, the organizers decided to call it North City. The first festival with the new-old organizers was held in 2003. The following year it took on an international character when the Ack Van Rooyen Quintet and Cleanhead Phil Blues Band were featured. 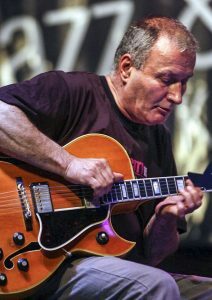 Petar ‘Pera’ Rakic, who has become a jazz institution, nowadays usually helps with the organization of the North City festival and is an honorary director. Enthusiasm is still their main drive. Someplace else such an event would be a business, but not in Mitrovica. “We went to the donor with the project for the festival and they were surprised. What do you say, there are no salaries planned here. It cannot be like this,” says Isko, smiling. “If there’s any left for a beer, it’s fine; if not, it’s not important. Often times when money is short we contribute from our own pockets,” Pera says. Larry McCray, Robben Ford, Eric Gales, Juan Garcia Herreros, Thornetta Davis, Big James and The Chicago Playboys are only some of the guest musicians who not only offer musical entertainment but also help to improve the current image of the northern half of the city. Nenad ‘Nesko’ Ilic, one of the organizers of the festival, says that they have, as real ambassadors, succeeded in showing the world a different image of their city, which is often in the news due to politics. The guests at first came with prejudice. “It was sweet suffering to convince them. After that they returned and gave statements to their media but also here, that they were welcomed fantastically… that there are not only guns and bombs here, but also great, global events,” Nesko says. “Can you imagine, a few months ago, Gales plays with Santana and says: I love you – North City Jazz & Blues festival. Santana looks at him, is surprised and probably asks himself what he is talking about,” Isko says about the reactions of the festival guests. There were also positive reactions from their colleagues in the south of Kosovo, but not only from the colleagues. Isko talks about the things that happened while they were welcoming the guests. “We were waiting for the guests at the airport and the waiter said: ‘Jazz festival North City, please, can I have that blouse.’ He removes his blouse with a printed Prishtina Airport logo, I removed my North City blouse. He only says: “Well, thank you…’, so this was very original, special and real,” Isko says. Just like in life, where nothing happens randomly, although sometimes it might seem like it, it is surely not a coincidence that on the same year when the jazz and blues festival in the north was held, in the south, in Prishtina, the first concert of the reunited Big Band is held. And, once again, the people from Mitrovica had the main role. “I did not know that it was in the same year, but I saw that something was brewing inside of us, despite the fact that we went on with life, just like Pera there and we here. This is a coincidence but I think that all of us were tired by the dead cultural life,” Valton Beqiri, a professor at the Music Academy in Prishtina, said with a smile. Valton Beqiri gives journalist Sanja Sovrlic a piano lesson. As the son of a composer and a director of a music school, his path in life was wide open. He grew up listening to Gazi, Isko, Pera and the other members of the Big Band, not expecting that decades later he would create something like it himself. “In April 2003 we held a concert. There were people of different positions. We wanted to showcase our capacities and become the cornerstone for the Big Band. The late Agim Zatriqi, director of RTK, the public broadcaster, said: ‘this band has to be on TV,’” Beqiri says. Due to the lack of budget, the band does not exist in its full lineup anymore. There is not enough money but there is always music and enthusiasm and it is not difficult for a group to gather up any day and play. Yet, says Valton, it is not always easy. Members of the Big Band in 2015. It took many years to heal the wounds of war that killed the Big Band in Mitrovica and separated the small mining town into “the north” and “the south”. Gazmend Mustafa – Gazi – says that he did not want to go the north part of Mitrovica for 10 years. The conversation was endless, many shared memories, interest for other people, old crushes… except for the band people, Gazi said that he also met others who remember him positively. He did not know who he would talk to first, in the streets, at the cafe. Gazi visits north Mitrovica for the first time in ten years. 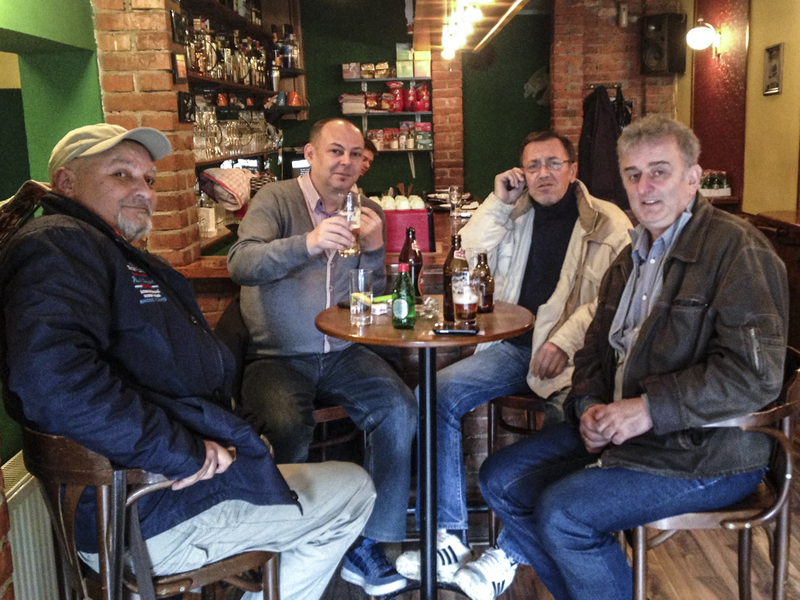 Left to right: Gazmend Mustafa, Miljan Miško Gvozdić, Isat Isko Murić, Boban Avramović at Club Soho. This year, he says that he attended the North City Jazz Festival during the day because his eyesight is not good and he cannot drive during the night. “I know that I would have drank a lot if I stayed,” he chuckles. Much has changed, but something has remained the same: when the festival ends and the last guest leaves, when the dues are paid and the instruments are returned… they gather up for food and drinks, and to play music. Last year it was with jazz legend Eric Gales. The northern team also has bitter memories from Mitrovica. They do not want to be asked whether the Big Band will once again assemble. It is painful for everyone. But one thing remains the same: they still see music as the universal language. This article was produced as part of the project “Real People — Real Solutions,” financed by the European Union Media Program 2014. BIRN Kosovo and the Independent Network of Journalists of Vojvodina in no way reflect the views of the European Union. It was originally published in Serbian.